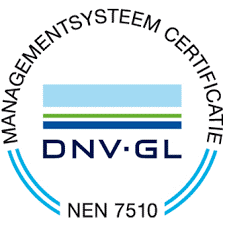 Berkeley Bridge has earned ISO 27001 and NEN7510 certification. These certifications demonstrate our commitment to align with global standards of best practice information security management to support our processes. We are doing this by taking the appropriate security measures to protect data and mitigate any risks that might arise. 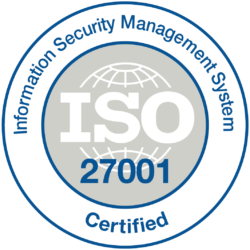 ISO 27001 is an information security standard, part of the ISO/IEC 27000 family of standards. This international standard applies to all types of organizations (e.g. commercial enterprises, government agencies, non-profit organizations). The standard specifies requirements for establishing, implementing, executing, controlling, assessing, maintaining and improving a documented Information Security Management System (ISMS) within the framework of the general business risks for the organization. Information security is important, especially in the healthcare sector where medical and patient data are managed and exchanged. The quality of service in the healthcare sector is of great importance, sometimes even of vital importance. In addition to guaranteeing quality criteria, the NEN 7510 standard provides guidelines and basic principles for the determining, establishing and maintaining of measures which an organization in the health care has to take to secure the provision of information. Both certifications do not only relate to the technology and development of our platform, but concern a complete set of measures, processes and procedures. After all, all Berkeley Bridge employees must be aware of how to handle information, so that the reliability of information security can be guaranteed. This not only affects the technology, but can also be seen in the processes in which our people are involved and behavior on the work floor. From issuing a quotation and providing support, to locking computers and shutting down workstations. All this with the aim of guaranteeing the reliability of information security.